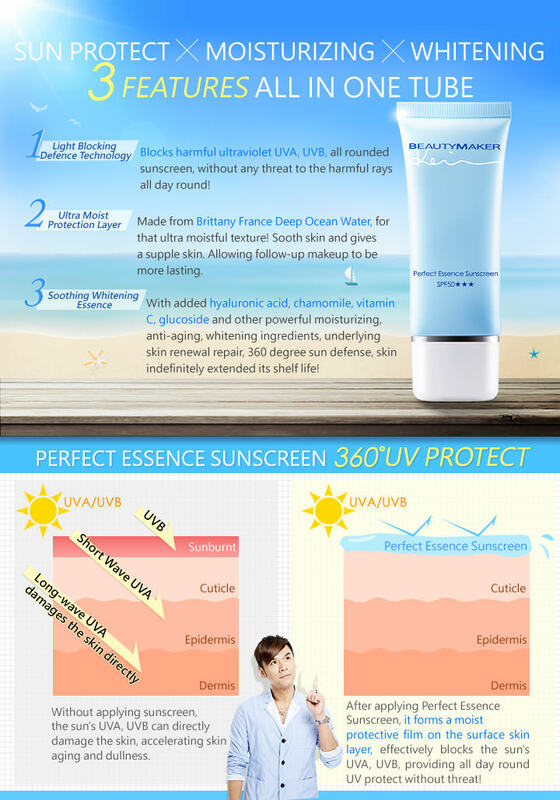 Protect your skin from the harmful sun rays! 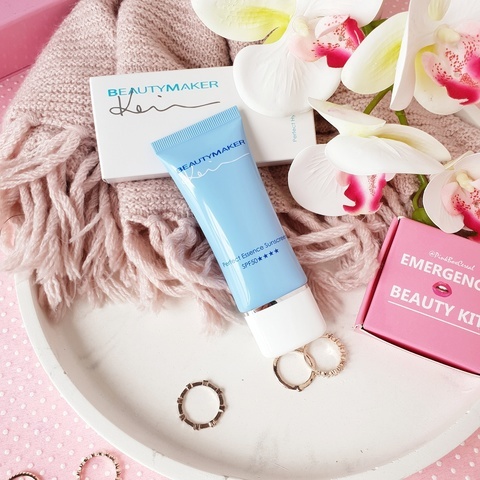 BeautyMaker Perfect Essence Sunscreen is formulated with Deep Ocean Water, Hyaluronic Acid & Vitamin C to help protect & hydrate your skin under the sun! - Protects your skin from harmful UVA and UVB rays (broad spectrum)! - Water-based formulation, no white / gray cast AT ALL! 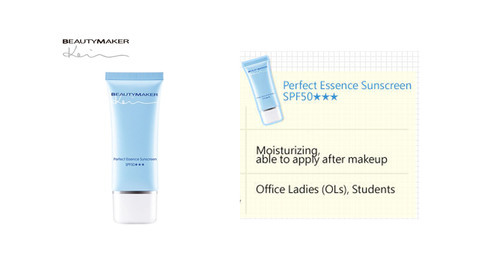 - Melts into your skin easily and absorbs like water! - Guys can wear it too! 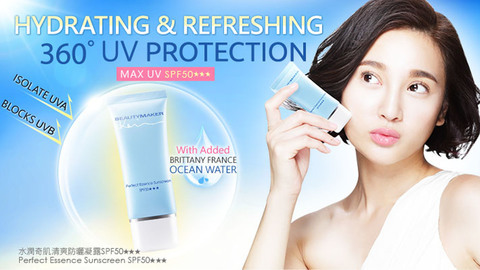 - A super-hydraulic sunscreen based on "deep ocean water". It forms a moisturizing protective film on the skin surface and blocks UV damage all day long! 2. Dab an adequate amount all over your face. Water,Glycereth-26,Butylene Glycol,PEG-17 Dimethicone,niacinamide,Ascorbyl Glucoside,Phospholipids,Acrylates/C10-30 Alkyl Acrylate Crosspolymer,Glycerin,Sodium Acrlates/Beheneth-25 Methacrylate Crosspolymer,hydrogenated polydecene,Phenoxyethanol,Sodium Citrate,Sea Salt,Methylparaben,Dipotassium Glycyrrhizinate,Disodium EDTA,Propylparaben,Citiric Acid,Propylene Glycol,Leontopodium Alpinum Extract,Lauryl Glucoside,Potassium Hydroxide,Sodium Hyaluronate,Chamomilla Recutita(Matricaria)Flower Extract,Sodium Benzote,Potassium Sorbate,Potassium Carbonate.